What’s a small marketing agency to do when one of their key writers, who specializes in a niche area that’s important to one of their top clients, gets relocated halfway around the world? Well if you’re Proof Digital, you keep on working with them, business as usual, thanks to the Redbooth platform. The firm’s use of Redbooth as their online collaboration and communication hub has enabled them to contract with a number of specialty writers, across the globe, to best meet their clients’ specific content needs. And that’s where Redbooth came in. The firm had experimented with several other platforms, including Basecamp and the now shuttered Do.com. While other platforms had lacked the third party integrations she was looking for, or had searchability issues with content stored on the platform, Porter Bilger quickly became a fan of Redbooth’s usability – and support of the variety of file storage providers her clients used. 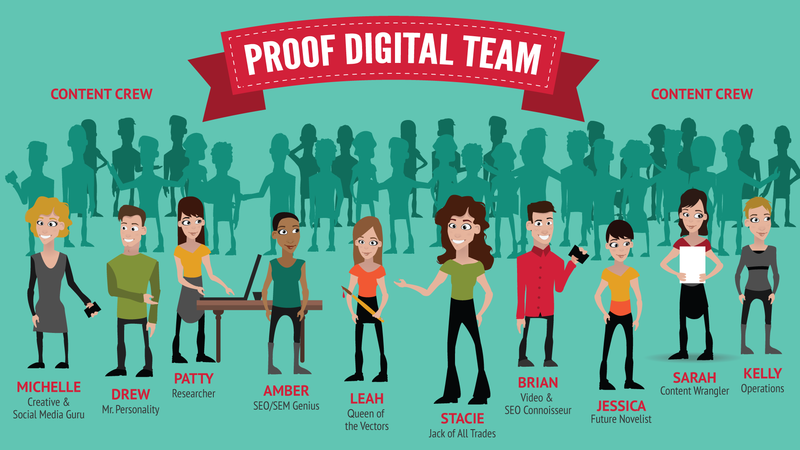 In addition to using the platform for day-to-day communications and client relationship management, Proof Digital also uses the platform to facilitate their employee onboarding process. By continuing to expand their virtual employee base, Proof Digital has reduced overhead by allowing writers to work from their home instead of allocating office space, which has resulted in a 75% monthly savings on rent and facilities cost by having the bulk of workforce remote. And those operational tasks also take less time thanks to having each client’s information centralized in their own Redbooth project. Porter Bilger estimates she now spends only 10-15% of her week on operational tasks that previously ate up as much as 40% of her time. To find out how your team can increase productivity, and enhance client service through the Redbooth online collaboration and communication platform, sign up for a free trial today.